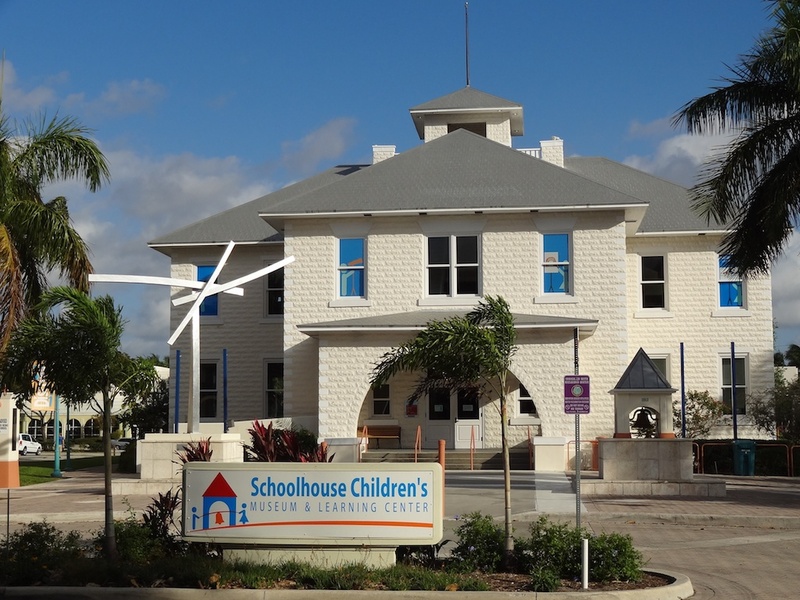 The Schoolhouse Children's Museum & Learning Center is well known to the people in South Florida for providing hands on, interactive exhibits for children. Conveniently located off of Ocean Boulevard in Boynton Beach, The Schoolhouse Children's Museum & Learning Center has excelled in serving the people and children of Southern Florida interactive fun for hours and hours. The Schoolhouse Children's Museum & Learning Center opened in 2001, however the actual building was built in 1913 to replace the wooden one room schoolhouse. The Boynton Elementary School closed in 1990, but the building was still used for community programs. In 1994, the Boynton Beach Elementary School was added to the National Register of Historic Places which then sparked the idea to restore the building and convert it into a Children's Museum. The Schoolhouse Children's Museum & Learning Center you see today is the result of those efforts. Since then thousands and thousands of children and families have had their hearts captured by the museum, enjoying and learning from a wide range of programs and exhibits. 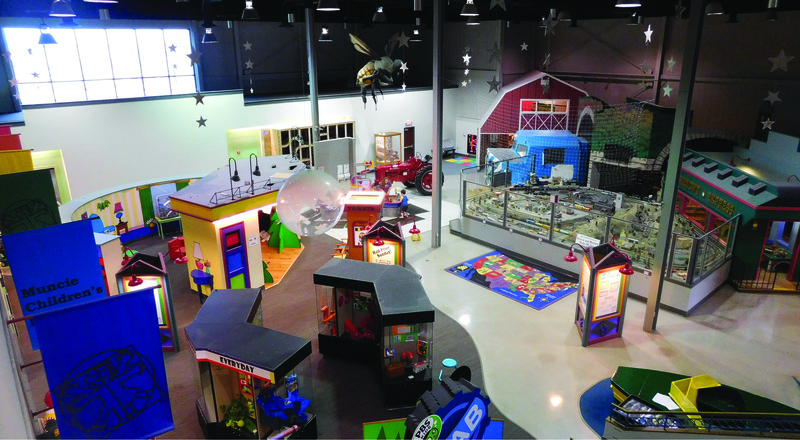 The Schoolhouse Children's Museum & Learning Center is perfect for the whole family with the museum spreading over two floors of hands-on interactive exhibits. If your looking for the perfect place to bring your child to have fun and learn something in the process, or if you looking for the perfect location for your child's next birthday party or special occasion, The Schoolhouse Children's Museum & Learning Center is the place you're looking for. The Schoolhouse Children's Museum & Learning Center offers you your own private party room for the enjoyment of your special day. The Schoolhouse Children's Museum & Learning Center also offers free weekly programs, affordable educational classes and specialty workshops that will teach your child about art, music, the sciences and more! The staff at The Schoolhouse Children's Museum & Learning Center is always happy to answer any questions about our exhibits and services. All you have to do is ask! The Schoolhouse Children's Museum & Learning Center has plenty of parking and staff to better serve our guests that come to us for our awesome museum. The Schoolhouse Children's Museum & Learning Center is wheelchair accessible and accommodates people with special needs. Our museum is always clean, and provides the perfect safe learning atmosphere for families. The Schoolhouse Children's Museum & Learning Center offers great admission prices for the awesome programs and exhibits to choose from! The Schoolhouse Children's Museum & Learning Center accepts all major credit cards making our services hassle-free. Come in and watch your child fall in love with learning at our museum today! Schoolhouse Children's Museum & Learning Center is located at 129 East Ocean Avenue. Boynton Beach, Florida US. 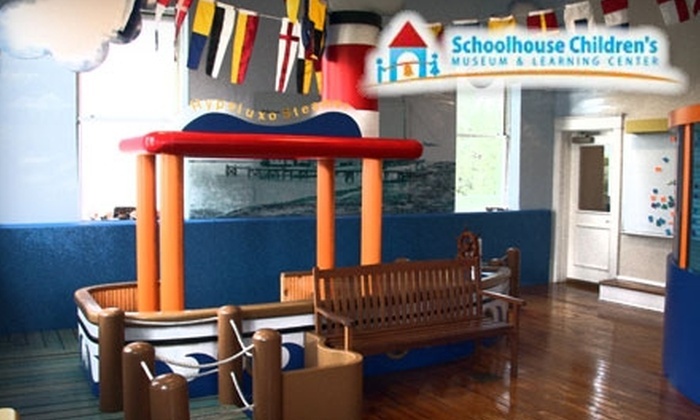 Schoolhouse Children's Museum & Learning Center is an Early childhood education type of site. Come on by or give us a call during business hours if you have questions (561) 742-6780. Most of the reviews here at Schoolhouse Children's Museum & Learning Center comment positively on course. The staff at WebPageDepot hopes you find the information here fun and informative. Please note there is a "View Similar" link in the Blue Footer to find other Early childhood educations, top on the right, and in the left section thumbnails of similar sites. These websites are all relative to your original search. This site for Schoolhouse Children's Museum & Learning Center was authored to enhance this client's Internet presence and grow the WebPage Depot online business directory. WebPage Depot is designed for local directories and a complete business directory. This free business listing site provides a fully functional website. The WebPage Depot site blends seven social media accounts (if available), google maps, large pictures, a contact us page (protecting the client's email address), a link to the client's original website and relevant Youtube videos. Additionally, we write an original text Welcome Message. WebPage Depot does make some assumptions, trustingly, for the benefit of the client. We write everything from a positive context. Our goal is to move-up the visibility/ranking on this site to the highest level possible. Improvements to ranking come with additional relevant content. To continue this effort, we will need information from the client, i.e., menus/list of services, specials, current pictures and videos and additional text for the Welcome Message.